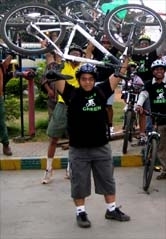 GoGreen Chennai - GGI-Group size: 4000+ Professionals, Increasing on day to day basis, Come & join us 2 serve Mother Nature. 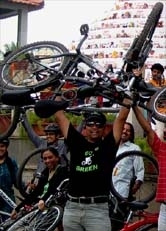 Please gather near Madhya Kailash Temple (OMR) at 6:00 AM with GoGreen jersey. Ride will start at 6:10 AM. You can reach him on 09791130233/09860887540. 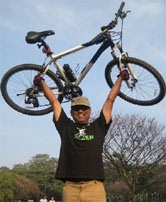 Click here to request to Join GoGreen Chennai. Click here to check past events snaps. Click here to contact your area POC.